Most first-time home buyers are focused on price, and there’s no doubt that affordability should be a top concern. However, there are a lot of other little things that you should look for in your first home. 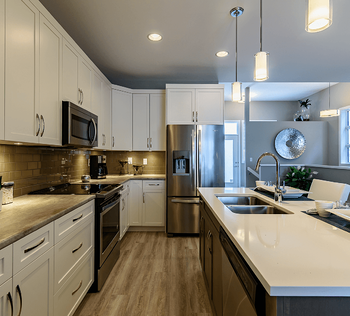 Essentially, you want life in your new home to be as enjoyable as possible, and we think that the following features will help you find joy in your new home. First-time home buyers tend to be younger than other types of buyers. They could be single professionals who want to start building equity, young couples who are a few years away from wanting children, or couples just starting to build a family. Smaller homes are attractive because they’re usually more affordable. However, it’s important to remember that you don’t always build up a lot of equity in the first few years of homeownership, especially when you don’t have a large down payment. Much of your monthly payment is going toward interest on the loan. You want to select a floor plan that offers some room to grow. For instance, a three-bedroom style is probably more practical than a two-bedroom home. Even if you don’t need that extra bedroom now, you might appreciate it later. In the meantime, you can use it as a guest room or a home office. Having an ensuite in the master bedroom used to be a luxury, but it’s become so common these days that it’s practically a requirement. If you’ve spent years living in homes without this feature, it may seem like an unnecessary expense, yet it could be very important for the resale value of your home. People may not want to buy a home that doesn’t have an ensuite, and adding a bathroom to a home is an expensive renovation. You’ll be happy you chose a floor plan that includes a master suite complete with spa-like ensuite and even a walk-in closet. Young couples don’t always have a lot of time to spend on home maintenance. They’re too busy building their careers or raising small children. 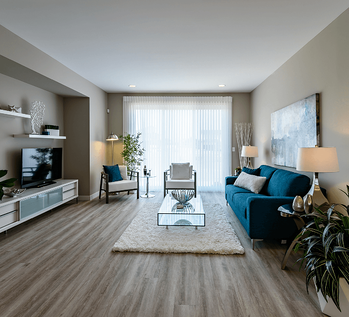 Focus on choosing homes built with low-maintenance materials, like vinyl plank flooring instead of hardwood. Don’t forget to think about the exterior. It’s also smart to ask the builder to incorporate some low-maintenance ideas into the landscaping. For instance, with a smaller yard, you’ll spend less time maintaining it on the weekends, and you won’t feel pressured to buy an expensive riding lawn mower. It’s important to purchase a home that’s within your budget, but you also don’t want to skimp so much that you’re choosing low-quality materials. Cheap materials are more likely to break down, and you may find yourself replacing or repairing items more frequently if you don’t opt for quality materials. All of the materials we use at Broadview are high-quality, but you can often upgrade to even better materials. Your Sales Agent can help you make a decision about when it’s a good idea to splurge on something better and where you could stick with the base material to save some money. If you’re not sure where to spend some extra money on luxury items, upgrading the kitchen and bathrooms is almost always a safe bet. 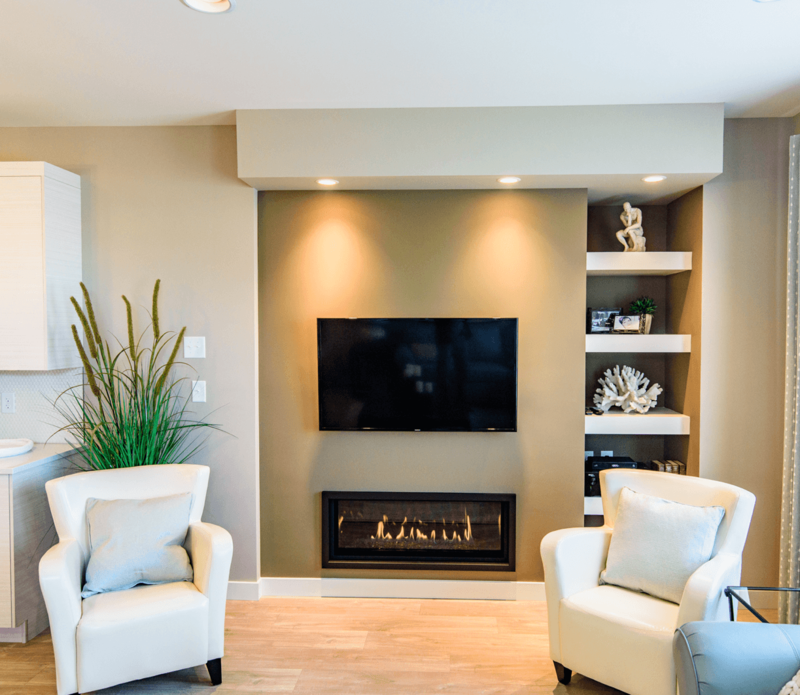 Making changes to these rooms later on is often expensive and time-consuming, so you’ll want to include as many upgrades as possible in the original build of the home. Often, these are little things like extended cabinets or deep pots-and-pans drawers, but you’ll also want to choose high-quality countertops and cabinetry. Most importantly, you want to choose a home that doesn’t have any “dead” space or features. For instance, if you’re a working couple who tends to eat out often, you may not need an enormous walk-thru pantry. If you prefer showers, you shouldn’t choose a design with a larger soaker tub. It might seem nice to have a bonus room at the front of the home, but if you can’t think of a way that you’ll use that room, it’s wasted space. 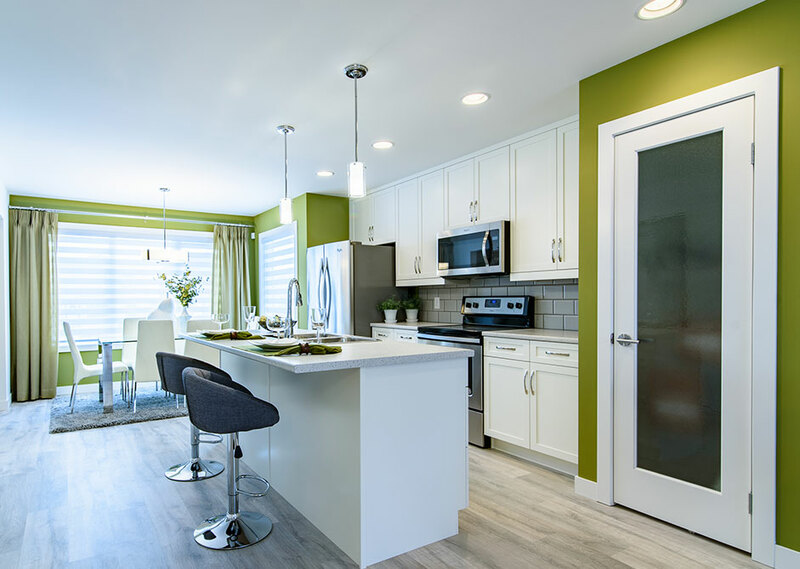 As you tour various show homes, it’s easy to get drawn in by flashy features that start to seem like necessities, but it’s important to stay focused on how you want to live your life. If you’re choosing a home that has expensive features you won’t use, you're probably wasting some money. Buying a home without those features could mean an even more affordable price tag. First-time homebuyers may have some unique needs, but it’s not hard to find a great home at the right price. By focusing on both current and future needs, you’ll find a home that suits you for many years to come.